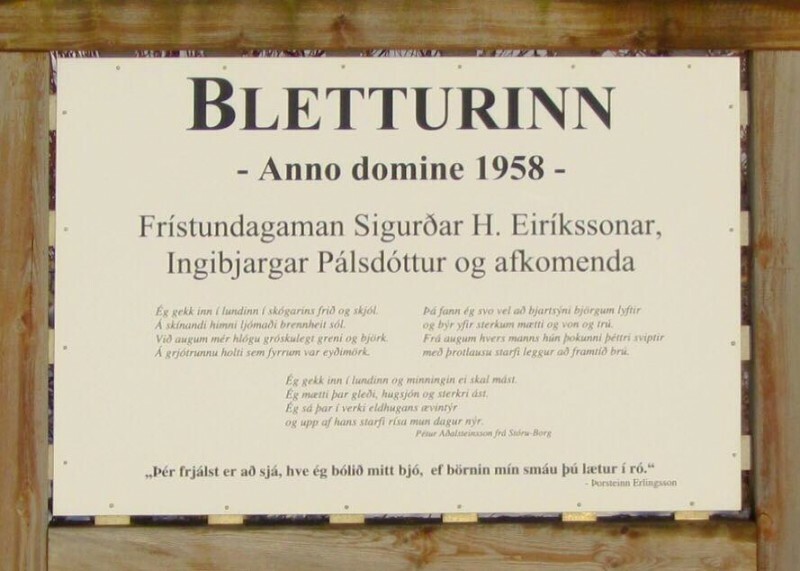 “Bletturinn” is the forestry that Ingibjörg Pálsdóttir and Sigurður H. Eiríksson, who live in Hvammstangi, began in 1958. They have worked in it constantly ever since but due to age this hobby has not grown and flourished in recent years and requires a lot of maintenance and care. Almenn trjáræktarverkefni; sláttur, grysjun o.þ.h. 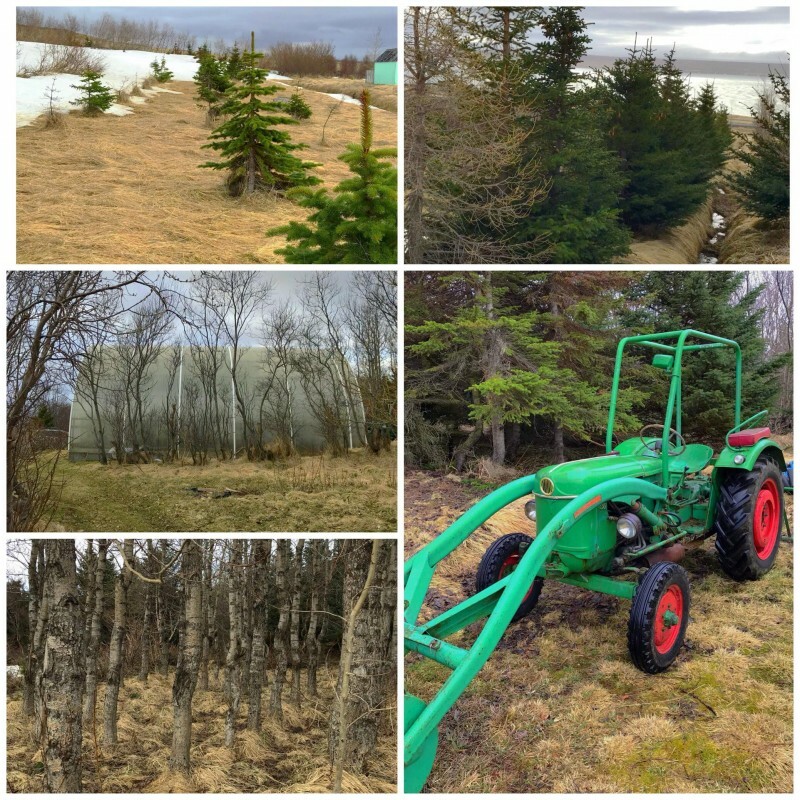 Located just south of the tiny village “Hvammstangi“ on the northwestern shore of Iceland is a beautiful little forestry named “Bletturinn“ (e. “The Spot“). 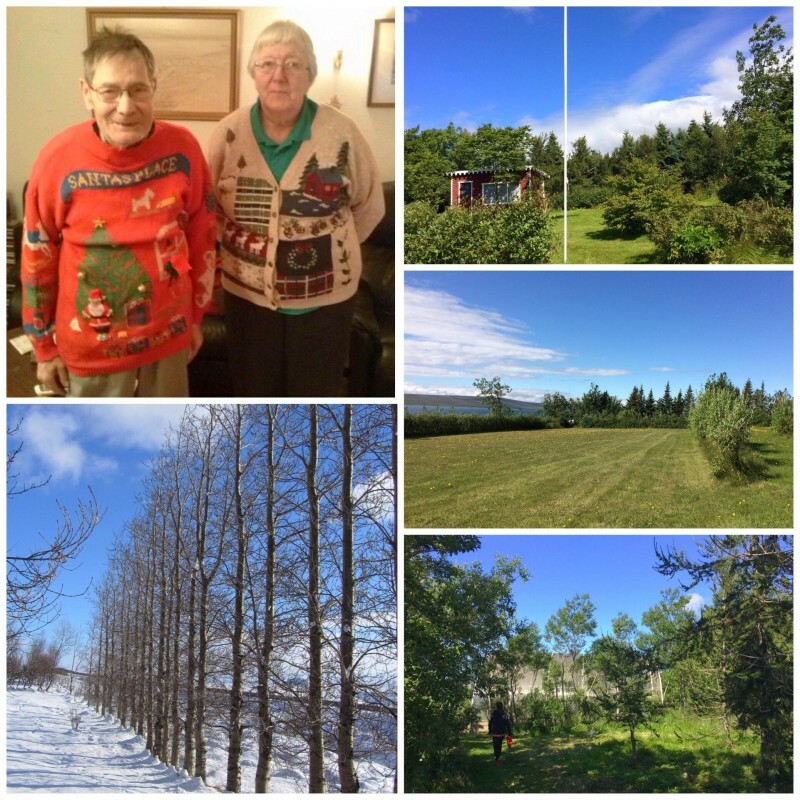 It is the lifetime hobby of Sigurdur H. Eiríksson (87), better known locally as Siggi, and his wife Ingibjörg Pálsdóttir (84), nicknamed Lilla. When they began their work in 1958 the land was a rocky meadow considered impossible for cultivation. Due to their hard work, devotion and non-stop passion they managed to transform it to what is today a beautiful cultivated field covered with various species of trees from all over the world, including two greenhouses where they grow, among other things, apples, plums, beans and strawberries. Sixty years have now passed since the first tree was planted. 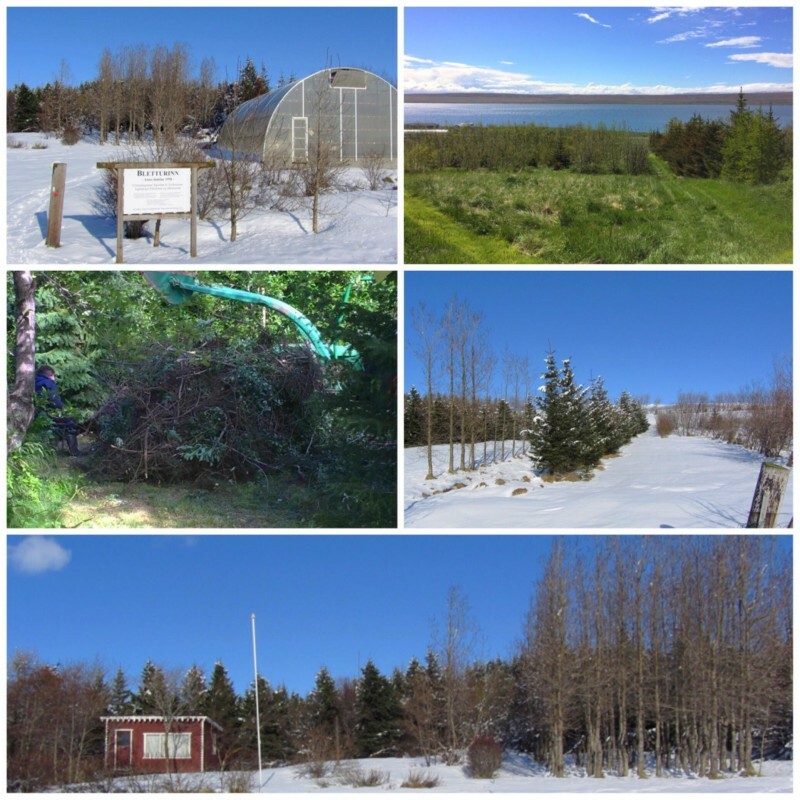 For all this time the forestry has remained solely under the ownership and management of Lilla and Siggi who have from the very beginning worked unceasingly on it, creating what is now considered one of the regions natural treasures. However, due to age and decreasing health the couple can not work as much as before, though the passion is still the same. Tasks who were previously easy to solve have become more difficult, time-consuming and cost-effective. 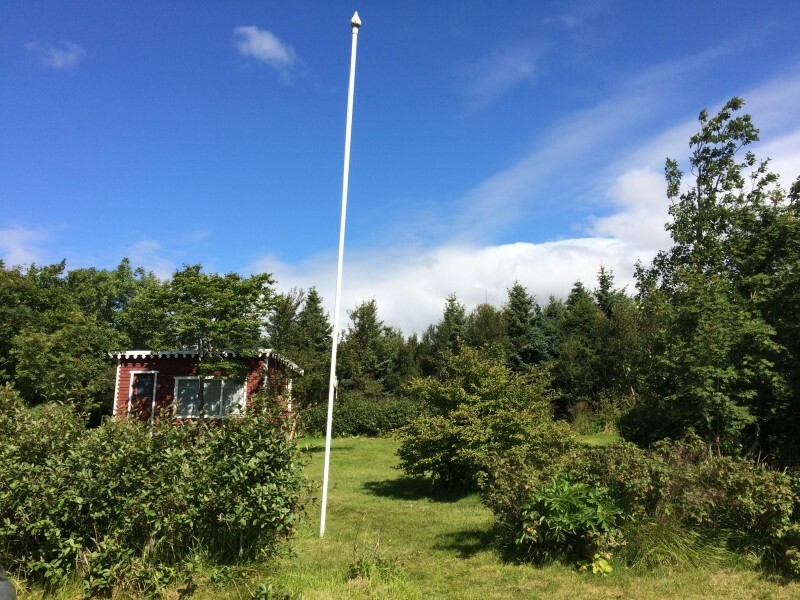 There are various tasks that have been on the To-Do list for the past few years and with the help of their family they will be launching this project this coming summer and make the forestry accessible to visitors who want to look around and enjoy its attraction. The cost factor of these upcoming projects is big. Walking bridges and fences are wrecked, walking trails have disappeared, mowers and other tractors need maintenance and toilet facilities are needed. This is only the tip of the iceberg but with your help we would be able to cover the cost needed to get all of this done. Please help us make this project come to reality. As gratitude for every pledge we want to give you reward as you can see in reward column.